Get comfortable on the machine with just a few easy steps. 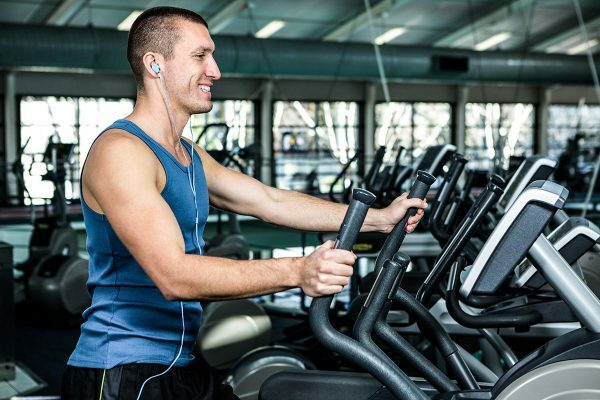 The elliptical machine is well-loved by the fitness community. From intense HIIT workouts to high resistance pushes, the elliptical is a versatile machine for beginners and experts alike. Don’t be fooled by the machine’s somewhat bulky appearance either. 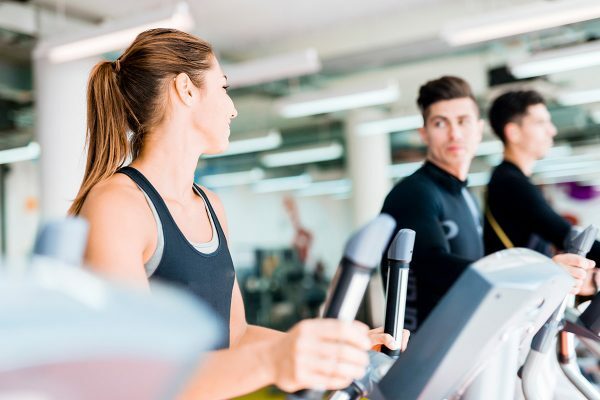 Once you know the motions, the elliptical is arguably one of the easiest cardio machines in the gym, offering seriously effective and low impact workouts. Here’s exactly how to set up an elliptical machine. Climb on and get comfortable. Using the handlebars to steady yourself, step onto the machine and place your feet on the correlating pedals. Don’t be intimidated by the pedal size. The extended width and length provide more space so you can stand however is most comfortable for you. Choose which handlebars work best for you. Your machine should have one or two sets of handlebars. One set will be stationary, offering stability. The other will move so you can work your arms and upper body along with your legs during your workout. Beginners may want to start with the stationary set until they become more acclimated to the machine. You can always switch to the moving handlebars as you get more comfortable with the motions. Hold on…loosely. Don’t grip the handlebars too tightly. Keep a light hold on them and use your full arm when pulling or pushing for greater exercise efficiency. Get to know the buttons and controls. Typically, ellipticals merely require you to start pedaling for the machine to start up. 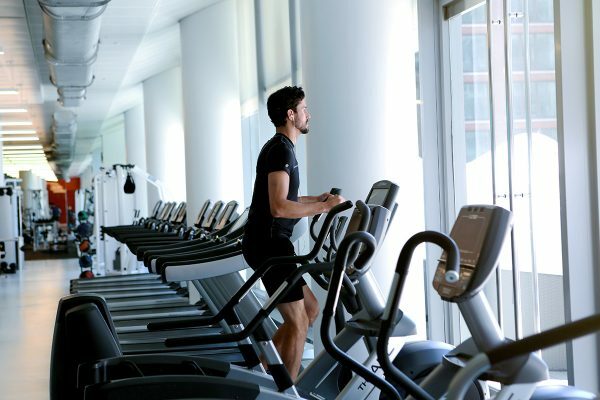 From there, you can increase and decrease the resistance and incline for added challenge throughout your workout. Posture is key to an effective elliptical workout. With all the pushing and pulling, it’s easy to lean into the machine more than you probably should. Stand upright and, again, keep a light grip on those handlebars. If you feel like you have to lean into the front of the machine, your resistance level may be too high. Try adjusting both resistance and incline and see if that improves your form. Once you’re comfortable with the motion of the machine, try playing with the resistance and incline for more challenging workouts. Test out multi-directional work, too. Pedaling backwards will work your hamstrings, as well as your quadriceps and calves. If rumors of ineffectiveness have ever stopped you from using the machine, read this ASAP.